Food intolerance is not life-threatening but can cause unpleasant symptoms that can be delayed for many hours or even days after eating the offending food. For this reason it is often hard to identify foods causing the problem. Food intolerance is not the same as allergy – if you experience immediate discomfort, rashes, difficulty breathing or altered consciousness after exposure to foods please seek medical advise. Skin – Hives, eczema (atopic dermatitis), infantile eczema, acne, psoriasis, redness, dry skin, itching. 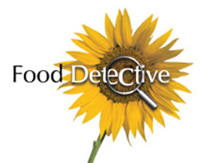 The Food Detective Intolerance Test is a method for detecting IgG antibody reactions to foods. 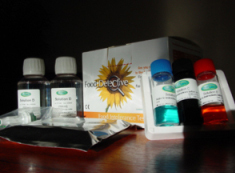 This is a finger prick blood test assessing intolerance to 59 foods using principles of an enzyme immuno-assay, clinically acknowledged ELISA technology. We feel that this test is more accurate than other non invasive test food intolerance test methods. Results can be obtained the day after the test. Once identified, the offending foods can be eliminated from your diet usually for a period of 3 months. Each food is then re-introduced one at a time and previous symptom return is monitored closely and the diet adjusted accordingly. How much is a food intolerance test? Cambridge Nutritional Sciences defines food intolerance / sensitivity as an IgG antibody reaction to food. Food IgG antibody testing is not intended to diagnose or treat any medical conditions. The food intolerance tests do not identify IgE-mediated food allergies or provide information about coeliac disease, enzyme deficiencies such as lactose, histamine or tyramine, alcohol intolerance or other chemical sensitivities such as reactions to certain food additives. Following a test the assistance of a professional health care provider is advised and any medical concerns should be referred to a medical doctor. Cambridge Nutritional Sciences nor Diane Nivern Clinic Ltd is not responsible for any misinterpretation or misuse of the information that we provide, including any diagnoses or nutritional changes initiated by a healthcare practitioner or patient based upon the content of our test results. This food detective food intolerance test is intended for educational purposes only and the information contained within it is not intended, in any way, to be used as a diagnostic tool. Lactose intolerance is not something that we currently test for and will not be identified by our IgG mediated food intolerance tests. If an individual suspects that they may have lactose intolerance, then they should consult their GP to be tested for this.